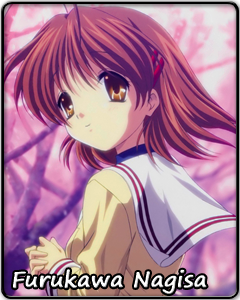 Nagisa is a girl with a simple dream – she wants to act in her school's Theater Club – and no idea how to go about realizing it. Her complete lack of experience in the matter is not even the biggest obstacle in her way. The Theater Club has been closed down for years, and the student council has no intention on reinstating it. Neither does Nagisa have the guts to go around convincing them otherwise. She does not even have friends who could fill up the member quota for the club – she is repeating the year due to sickness, and all of her classmates have already graduated. Everything seems like a lost cause, and Nagisa, with her low self-confidence, quickly gives in to despair. What saves Nagisa is a combination of good fortune and her sometimes unusual behavior drawing the attention of students with too much time on their hands. Indeed, some of Nagisa's self-motivation tactics are quirky to say the least – like her habit of calling out the names of various foodstuffs she will reward herself with for trying her best. She can also become surprisingly passionate about certain topics – like a children's show called The Big Dango Family. Nagisa attracts a group of supporters curious about how far this clumsy girl can get in her ambitions. If it seems like things will go smoothly for Nagisa from then on, it's just an illusion. As it turns out, Nagisa has a habit of putting her own plans on hold when the situation requires her to help others. And with her growing social circle, the number of problems she gets involved with grows exponentially. On the one hand, Nagisa is very emotional and suffers the tragedies of others as if they were her own, often crying just from hearing a sad story. On the other hand, she helps those around her with strength and determination she never shows when dealing with her own problems. She even musters up the courage to act against her friends' will if it is for their sake. There is a long way ahead of Nagisa, but when she finally graduates from her high school, she will do it much stronger, and with a group of new friends in tow.